At Rindge Orthodontic Specialist we are committed to giving you the best possible smile. Thousands of patients have entrusted us with their smile (or their children’s) and we know you will be thrilled with the results of your treatment. Dr. Miller and his staff regularly attend continuing education to learn about new research and best practices. We believe in having fun at work, and want each patient to have a great time while they are visiting our office. Whether enjoying a movie in the treatment chair, participating in an office contest, getting rewards for getting a good grade for brushing, or sharing laughs with the team we want every patient to relax and enjoy the experience. Adults especially enjoy visiting with our doctor and staff and the availability of an adult treatment area. Being part of the community is not only part of our mission, but is a way of life for our team. Whether sponsoring local sports teams, donating to charities in our community, or even running in a local race to raise money we take pride in our community involvement. We take a special interest in organizations that help kids in our community. We utilize the latest in treatment options to make your treatment more effective, comfortable and convenient. Sometimes these technologies are behind the scenes in areas such as sterilization, computer systems, sharing patient records with your general dentist, and more convenient patient scheduling and reminders. Other times the latest methods are being used right in front of our patients, like ProSeal that helps protect your teeth, new wires that are gentler, innovative appliances like the Herbst and Forsus, clear ceramic braces and Invisalign. We take time to get to know every patient and their family personally. 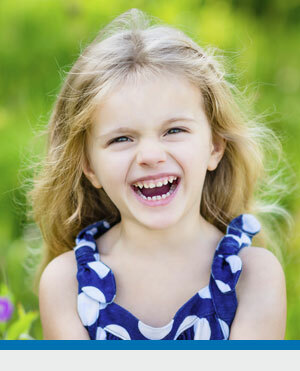 In addition, we know that orthodontics is not a one-size fits all endeavor. We carefully diagnose each case in order to find the treatment plan that will give you the best smile. We offer a wide variety of treatments, such as early or phase one orthodontics, limited treatments for smaller problems, and adjunctive treatments in coordination with your dentist. Dr. Miller also treats patients with Temporomandibular Disorder (TMJ/TMD) and Sleep Apnea. At all three of our locations, our patients are our top priority. We know you’re busy, so we offer email and text message appointment reminders to help you keep track of your appointments.